We ran in our sports bras and crop tops, the way millions of you already do, without even thinking about it. And this is Delhi, a city not known to be women-friendly. 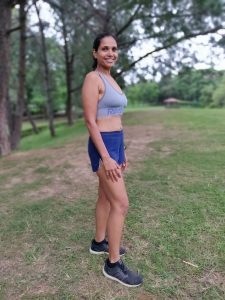 It all started with a phone call from one of the Delhi NCR’s most popular and influential runners – the blogger, yogini and runner Tanya Agarwal. 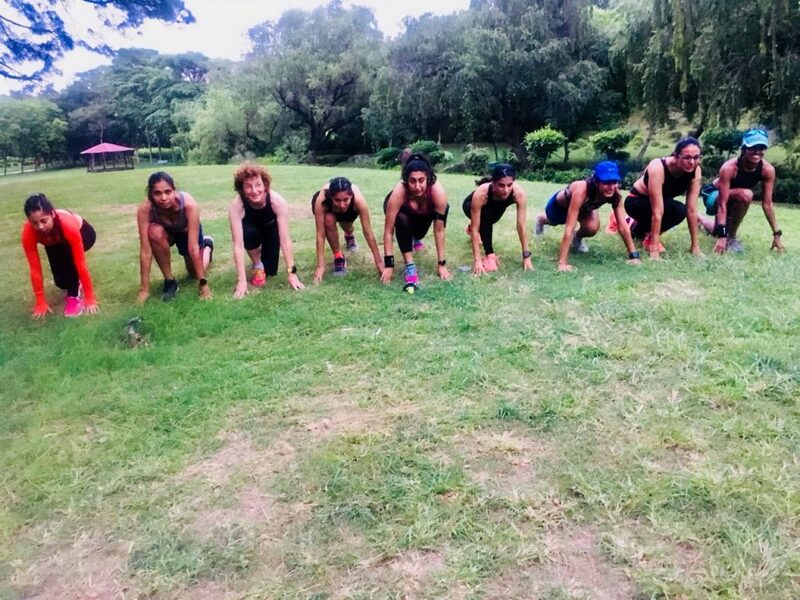 She was organising a sports bra run along with another runner Nikita Seth. Was I interested? 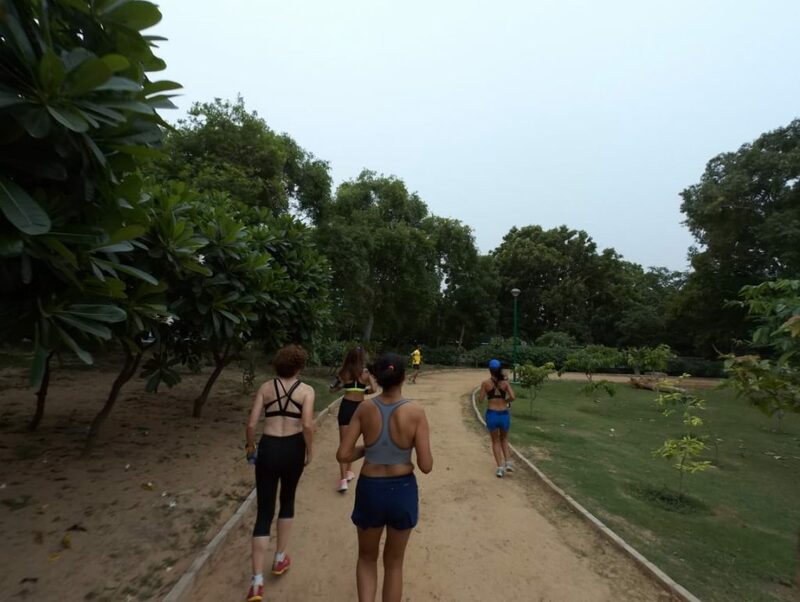 And so this overcast, humid Delhi morning a group of us ran together in our sports bras and crop tops, feeling cooler without the extra layer of a sweaty T shirt, feeling great, and having a blast. 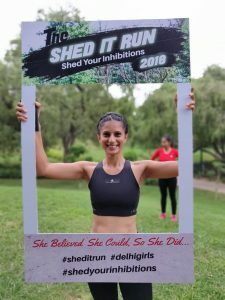 Shed your Inhibitions and run! This is not any of those women’s liberation kind of run. It’s a few of us ladies getting together to feel the experience of a different run with like minded company. It’s to shed inhibitions, continue to feel strong about our bodies and believe that once in a while you can do it just the way you’d really like and have wanted. Delhi is hard on us women and we should not do this alone! But together we can! I can’t officially speak for all the other fabulous young women, but I’d say it was TOTAL “mission accomplished”, Tanya and Nikita. We ran strong, we had fun, we turned a few heads, and we garnered smiles and high fives from most of the runners we met en route. 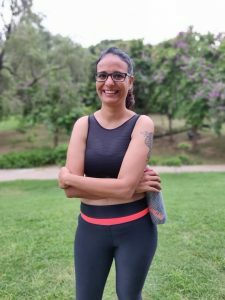 It was SO encouraging to see the smiles and hear the cheers as runners passed us this morning and – in a moment that I hope someone captured on film – as we crossed a group running towards us, Tanya yelled “Take it off!” and Garima Dhamija did just that! Whipped off her T-shirt, changed directions and joined us. Whenever I’ve seen runners overseas, I’ve noticed that so many women run in crop tops. If you look at photos online of races, marathons, whatever, so many women are running comfortably clad, and no-one seems to bat an eyelid. So that issue was part of the rationale behind today’s run. And yes, it felt great to run freer and cooler, and I think we all looked pretty damn fantastic – though I’m obviously biased! But it wasn’t simply about running in our sports bras. It was also about shedding inhibitions, about feeling OK about your body. About feeling good in your own skin. Yet again, I can’t speak for all the young women this morning, but I know that a couple of women felt apprehensive about running in less rather than more. I’m very conscious of my age, of the wrinkles, and of the old-lady flab that is gradually accumulating, despite all the running. I admit to having a bit of a wobble during the week and wondering whether I wasn’t about to make a total and utter fool of myself. But I wasn’t about to let down the great core team of women and – very importantly – great male supporters, and so off I went. Just look at these young women! Fit & fabulous & looking completely normal in their pared down running gear. After yet more photos and initiating an hour-long Facebook live session, off we set, accompanied by a gang of great guys. These men, all stellar runners and coaches in their own right, supported us fantastically. 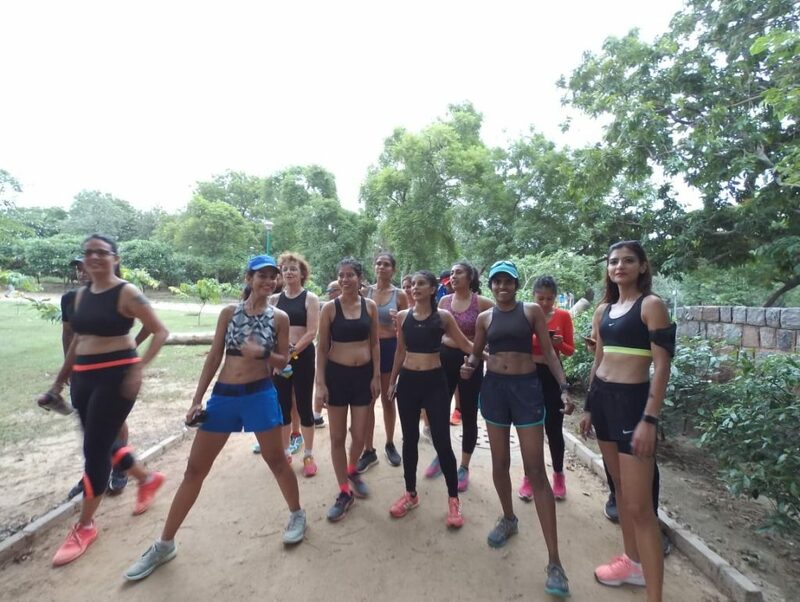 I suppose the original idea was that the men would be there in case of any untoward reaction to the sight of women in Delhi in – gasp – sports bras & crop tops. 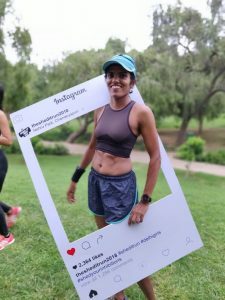 As it was, nothing happened, though to be fair we were running at dawn, and around a park that is runners central on Sundays, but nothing other than cheers and positivity came our way. Which is SUCH a wonderful reaction. So the presence of so many of my male running friends just made the whole exercise seem more normal. In the end, we were a group of women running with a group of men. How brilliant. I enjoyed every single moment of this initiative and was hoping that Nikita & Tanya would agree to another lap of the park. As it is, I’m hoping they already have the next #shedit run planned! Did I shed any of my own inhibitions? So, no, actually, a total fail in shedding that particular inhibition! Joking aside, it actually felt weird for a moment, putting my T shirt on for the drive home. It had felt natural to be dressed the way we were. In Delhi, I certainly won’t be running in my sports bra alone. I might well run in it with another group of women, like today, or with the same kind of fab blokes we ran with today. And I’m going to work on that flab, which isn’t an inhibition, before you say anything – just need to #shedit! Today was great fun, but also came with a great purpose behind it. 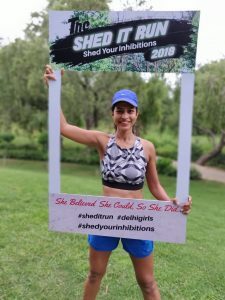 Honoured to have been part of the inaugural #shedit run & look forward to the next one! I’ve been looking at pictures of the shed it run from this morning! I wish I’d known, would have joined you all. Great initiative! Good for all the women! Top! You are all great. Keep on running in your sports bras. I’m like Christine. It’s my age…. . I am so happy to see such strong minded girls to come together to break the stereotype and send a strong message around. I am sure you must have already inspired many more…. Wow Christine ! You’ve summed up the intent, the morning and the message so beautifully. I always knew you would be a part of it. Nikita and I are much honored to have the most young spirited Runner of Delhi join us on the first one! Kudos! and yes Stay Gold!